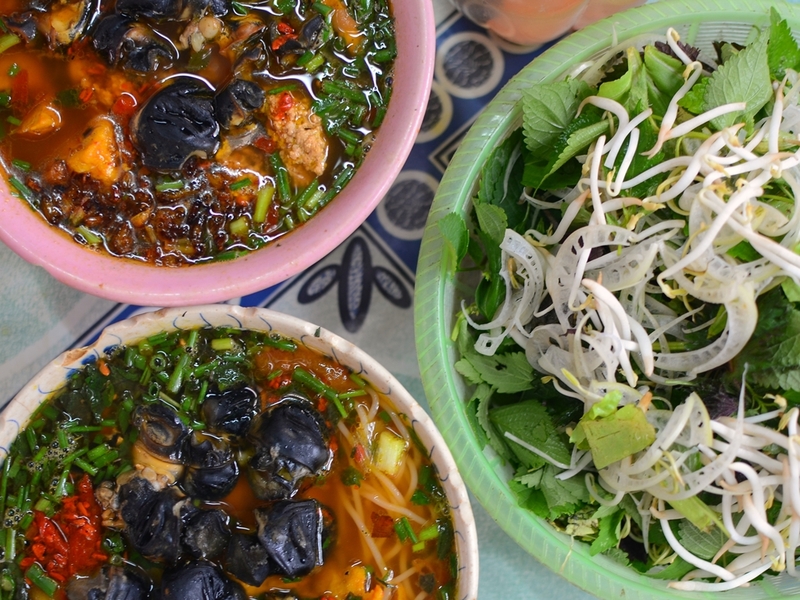 Whether it’s streamed rice pancake or snails noodle, some Hanoi’s delicacies can be found in Saigon, ready to serve in case you miss the Northern flavor. 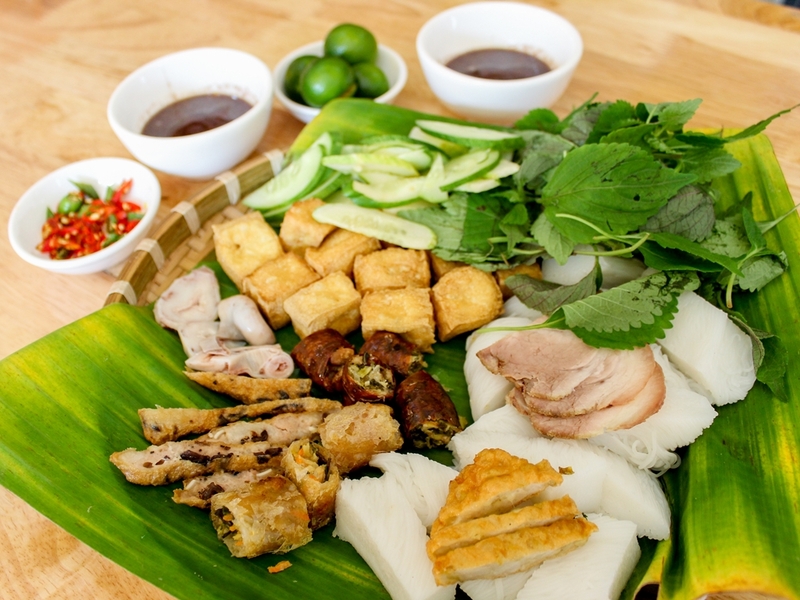 A careful selection of ingredients is mandatory to ensure good taste of Banh Cuon. The pancake wouldn’t be too sticky when it’s spread out on the cooking plate, so choose rice must be neither too soft nor too dry. For the filling use wood-ear fungus and flavored ground meat, and fried onions on top are indispensable. Hanoi’s fish sauce to serve with Banh Cuon is totally different with Southern’s, it’s not as sweet as Saigon’s, and often has chili, peppers and fried onions, Vietnamese sausage, or gio lua, sometime be added. Even though there are many banh cuon restaurants in Saigon, only a few serve up the Hanoian variety. La Chanh Restaurant, 5/5B Nguyen Dinh Chieu Street, District 1 is recommend if you prefer to taste truly Hanoi’s banh cuon while in middle of Ho Chi Minh City. This dish simply consists of snails steamed with citronella and lemon leaves. The fish sauce is mixed with garlic, ginger and chilli pepper. 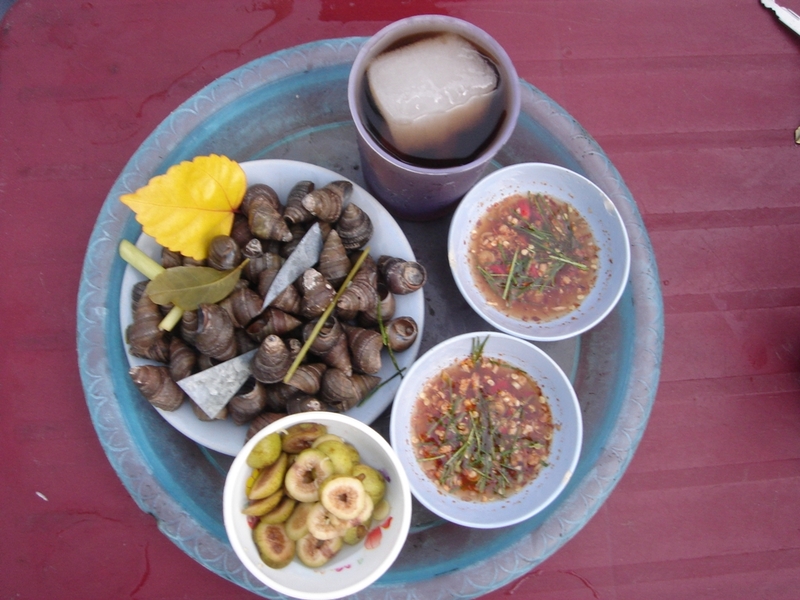 Steamed snails can also be found at La Chanh Restaurant on Nguyen Dinh Chieu Street, District 1. A portion for two costs VND 50,000 ($2.20). 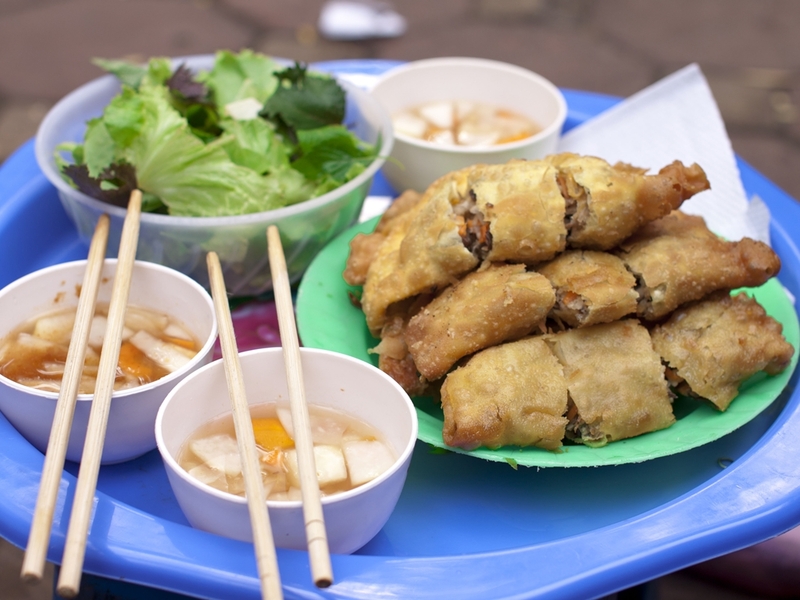 A typical cake in Hanoi with crispy shell filled with pork, glass noodle, wood-ear and sometime quail eggs. Sweet and sour sauce with slice green papaya is indispensable. A portion for two costs from VND40,000 ($1.76). La Chanh Restaurant which famous with it’s Northern food is recommended one more time. A good bowl of noodle with snails not only have a nice fever but also must be colorful with the red of the tomatoes; green of the peppermint, onion and vegetable; and the deep yellow of the fried tofu with snails. 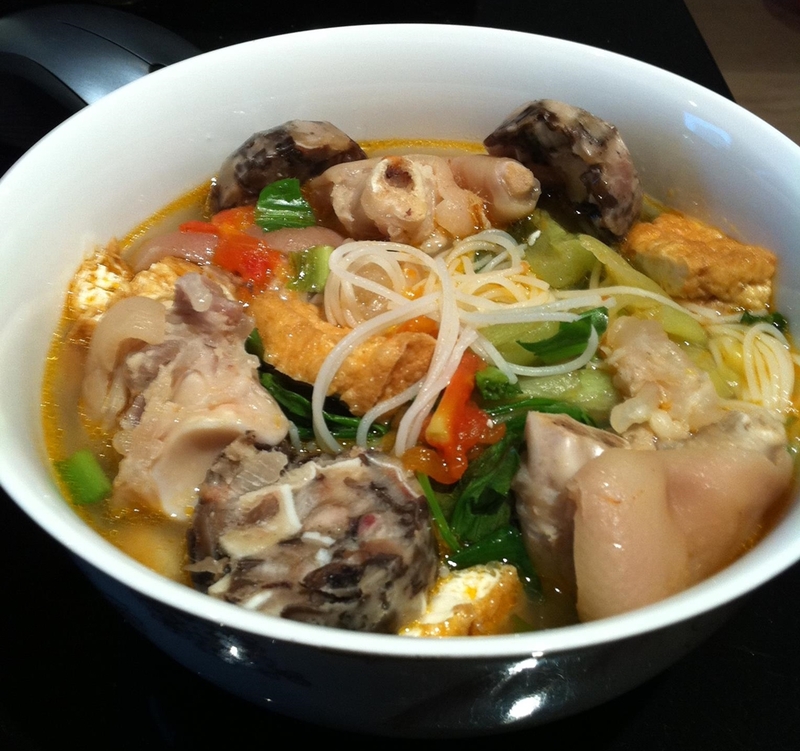 The turn of this dish is mild sour vinegar and noodles are usually accompanied together with local herbs. 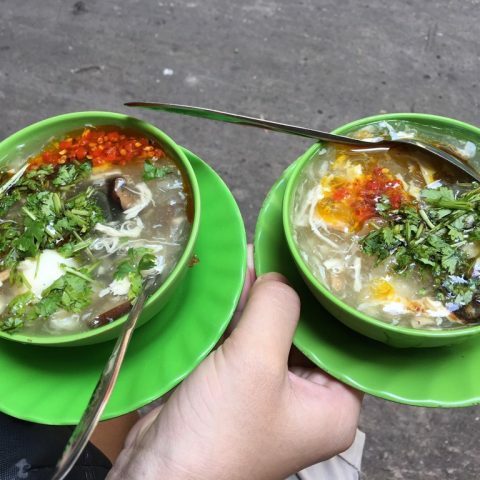 Vi Moc Quan, 47 Tu Xuong, District 3 is a good place to serve yourself a bowl of bun oc with the price of VND40,000 ($1.76). 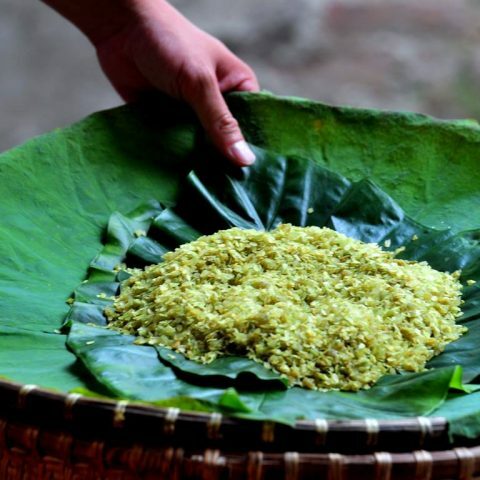 Some people always said that this is the best food of Hanoi which attracts both local and foreign tourists. 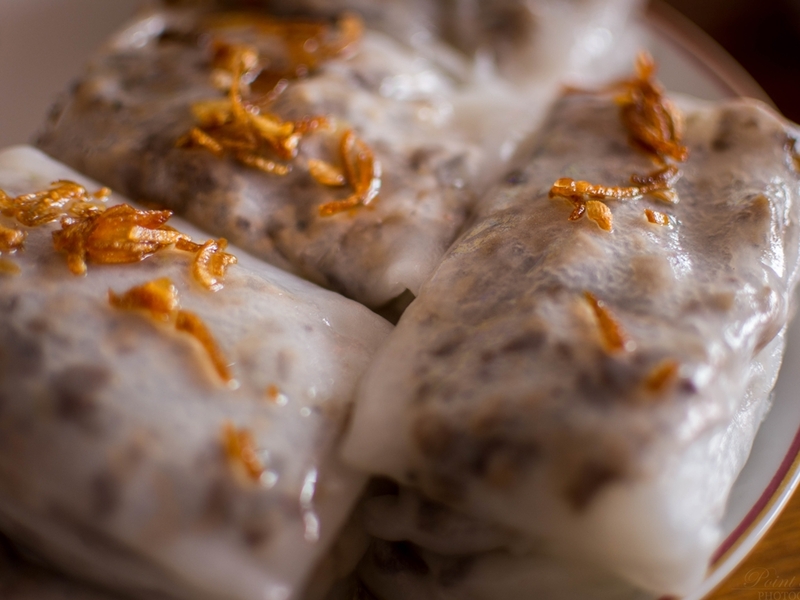 Cha ca la vong is served as a fresh spring roll by filling fried fish with vegetables, rice noodles, shrimp paste and fried peanuts inside a rice paper. You can try this dish also at Vi Moc Quan for about VND300,000 ($13.20). Northern of Vietnam with 6 months winter is famous with hot pot which is the best way to warm up your body. Crab hot pot quickly became hot trend when it arrived Saigon. The trick to a delicious broth is the sweetness of the crab eggs and the sourness of the tomatoes and dracontomelon. 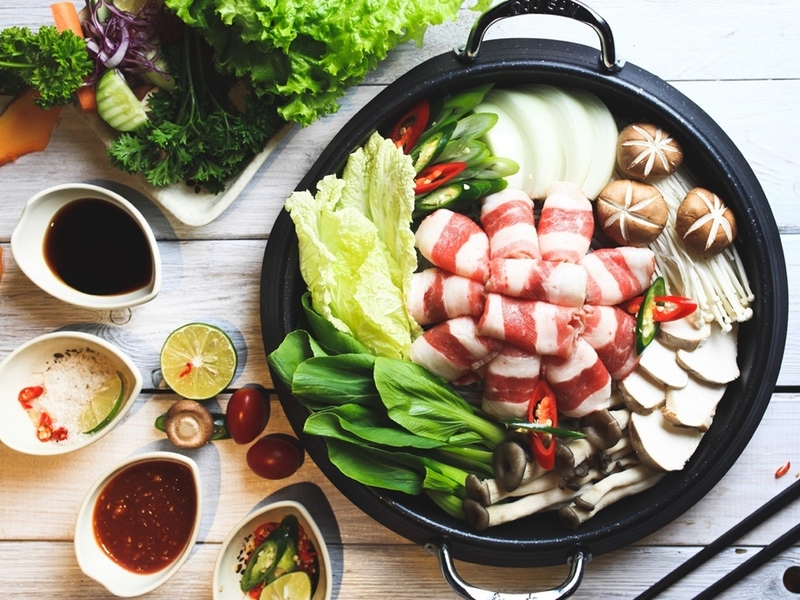 A steaming hot pot can be found on Tu Xuong Street, Truong Dinh Street and Hong Ha Street, and a serving for four costs around VND 300,000. At present more and more restaurants in Saigon serving this dish since it become popular. 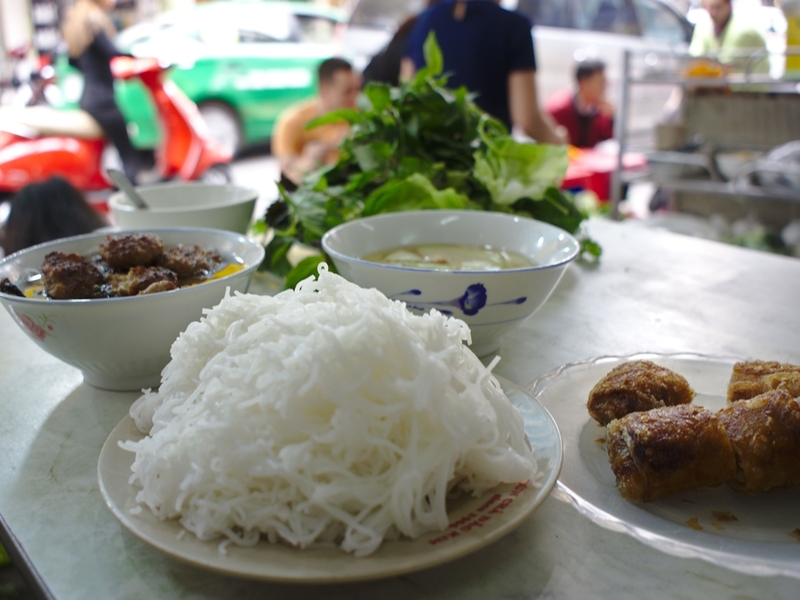 Most of them keep original Hanoi style with low-heat fried tofu, vermicelli, eaten with fried spring roll and cha com (green rice pork sausage). It can be enjoyed on Hong Ha Street, Phan Xich Long Street and Tran Hung Dao Street. A serving will set you backs VND40,000 ($1.76). 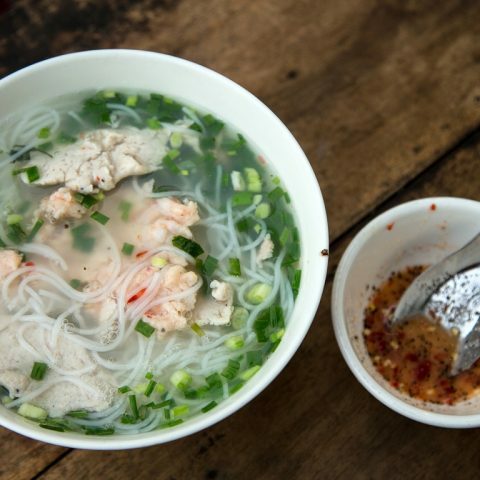 In Saigon, bun cha is a favorite food for lunch and one of must-try food when tourists set food to the city. 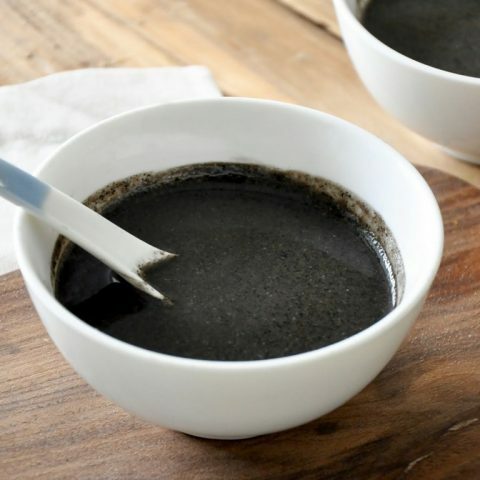 The dipping sauce has been changed slightly to match the Southern flavor but it turn out is just great. 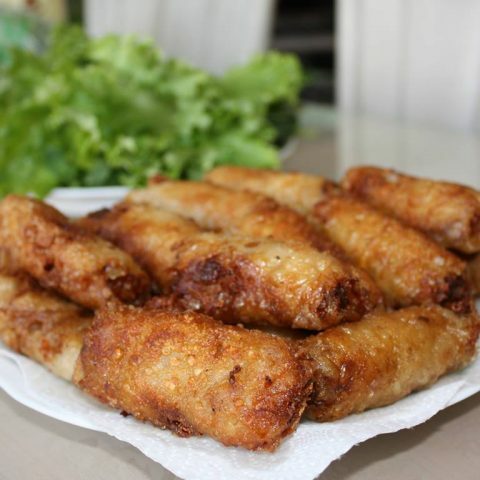 Spring rolls actually isn’t a popular add-on but still very good with fried crispy. A portion costs roughly VND40,000 ($1.76). You can try this dish in the northern restaurants at Vi Moc Quan. 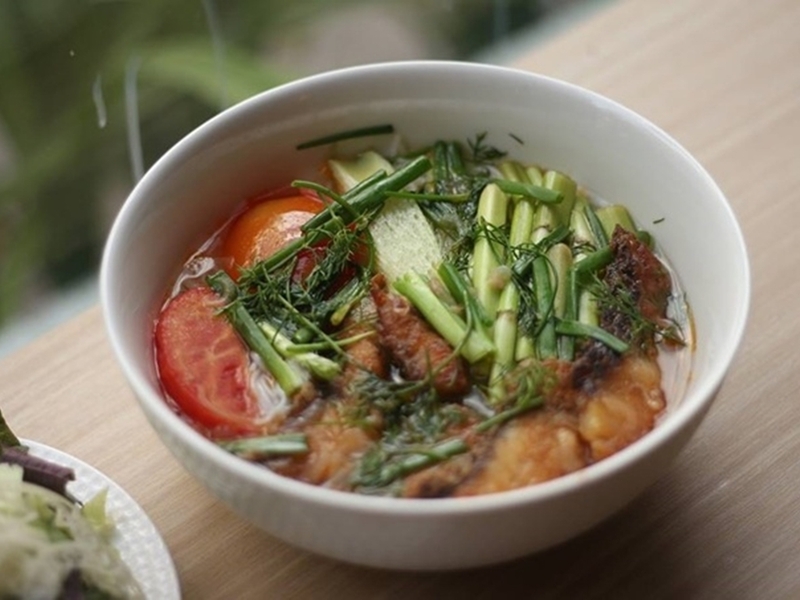 This simple dish consists of climbing perch, dill, tomatoes, Vietnamese taro and noodles. It’s one to go for on hot days in Saigon. Head to La Chanh. 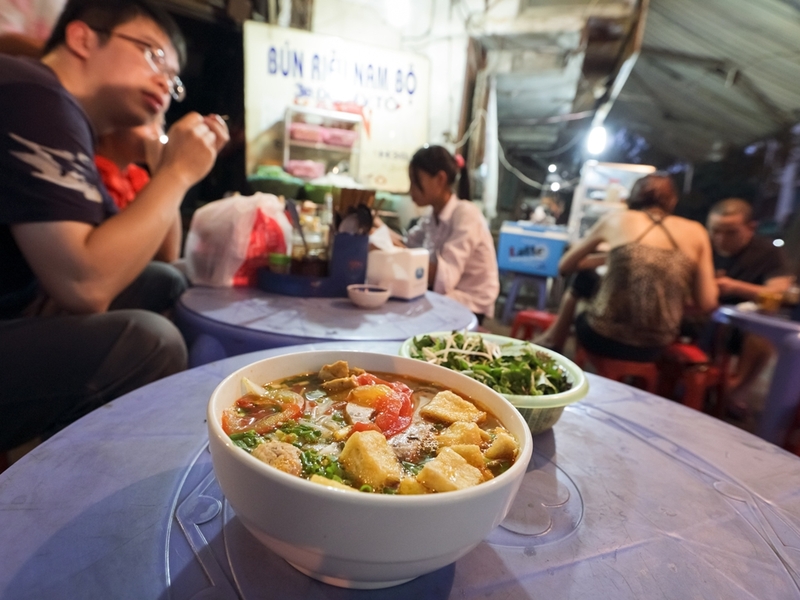 Expect to pay about VND35,000 ($1.54) for a bowl. Not for the faint hearted, the trotters are cooked with lemon grass galingale and shrimp cream for 3 to 4 hours until the meat is soft and the skin is crisp. 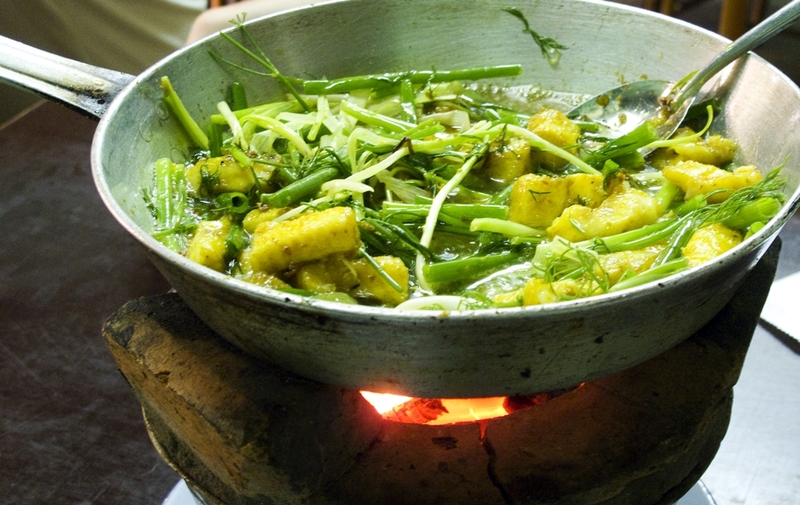 It’s a favorite among many southerners, and a portion costs from VND80,000 ($ 3.52). There are some northern restaurants selling this dish in Tan Binh District or, District 3, or La Chanh.